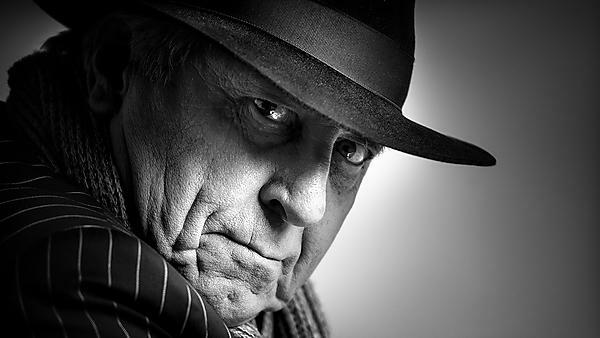 Legendary film director Peter Greenaway is coming to the Plymouth Festival of Words on Friday 5 May for a talk about his life and work followed by a screening of perhaps his most celebrated film, The Cook, The Thief, His Wife And Her Lover (1989). Ahead of the event, he spoke to us from his home in the Netherlands about his five decades in the industry and why he continues to have a passion for film. Q. You’ve been making films for more than 50 years now – does it still excite and inspire you as much as it ever did? A. We must have made some 80 films of many descriptions – documentaries, feature films (currently working on number 15), experimental films, films to be seen with reference to paintings and installations – and the medium itself never fails to excite and impress. That may even be more so now that cinema is digital, hands-on and real-time – especially for me in the editing. My cinema discipline was always editing, the processing of images and sound to make meaning. The digital, “Microsoft”, silicon-valley, visual technology is always impressive, coming up with the wow factor all the time though. And it’s the inevitable caution of human nature, trying to somehow remain in the past and pretending to be in the present. But essentially, 2017 Scorsese makes the same films as 1918 Griffith. The tools and equipment are better, all action much faster and the public more clamorous and demanding. But the vocabulary of insisting on telling stories and being “real” – as though cinema was simply visual literature – is still tiresomely the same. The opportunity to experiment is luckily still possible for me, though the problems of finding budgets to do such things are forever expanding. Q. After so long, how do you ensure your work continues to be relevant for film audiences? A. I confess to following my nose. I become fascinated by a location on my travels around the world (a new project was stimulated by the walled city of Lucca in Italy), excited by an arcane idea found in an obscure volume nobody reads any more (Sei Shonagon), or stimulated by a person behaving eccentrically (the Chinese Manchu Empress Cixi). Alternatively, I can be disturbed by a colour (the crimson feathers of the Red Ibis in a memento of Africa sent to Karen Blixen by her favourite house-servant), a sound (water in a cave near the Dolomites), a distant view (the sea from the Dutch coast at Uitdam), or a censored proposition (the seduction of the handsome boy in Death in Venice, after which I am preparing to remake Visconti’s film some 60 years after Thomas Mann’s death). Since all the world is globally homogeneous, now basically educated the same way and having the same desires, if I can entertain my curiosity, I am certain to be able to entertain the curiosity of others. Q. If you look at articles about some of your works, one word that does appear fairly often is controversial. Has it always been one of your goals to produce works that challenge people’s perceptions or sensitivities? A. I believe that art – both in content and certainly in language – should be disturbing, though not necessarily sensational. It provides an opportunity to be “alternative”, not trammelled by unnecessary political correctness, a welcome entrance into the unknown, an excuse to experiment. I believe – perhaps unfashionably – in art for art’s sake because for what other “sake” can it be really valuable? Too much of today’s cinema, judging by the award of prizes, is valued as some dubious contribution to Amnesty International. I believe in “truth to materials” and that cinema should not be illustrated text, visual radio, a writer’s medium or anything other than cinema. But I am well aware of the general concern for “the shock of the new”, though I would say “the unfamiliarity” of the new for I would be happy to keep the shock. Cinema should not be best employed as a comfort zone for the timid at heart or the lazy of brain. Q. Art is a recurring theme throughout your films. Is that down to your early training as a painter or do you see film as an art form in itself? It’s curious how you say “art”. What do you think you mean by “art”? Isn’t cinema art? Everything man-made has to be designed and at the top of the chain of all man-made designing is the painter. He or she should be prized. He or she creates the man or woman-made world from the design of your underpants to The Eiffel Tower, to the Apollo spaceship on its way to Jupiter. An Italian journalist once asked me how is it that I started my career as a painter and I am now principally known – if known at all – as a film-maker. I gave an answer that suggested I grew disenchanted by painting because paintings do not have soundtracks. Perhaps I try to make paintings with movement and sound-tracks – Velazquez in bed with Rauschenberg? It is certainly true that I am not much interested in telling stories in the cinema. I have no desire to play games with Freudian introspection. If you want to tell stories, be a novelist – a much better medium for story-telling. Unfortunately we have a writer’s cinema whereas we ought to have a painter’s cinema, but since text is the world’s primary communication vehicle it will be sometime before we have a painter’s cinema. Q. Why do you believe The Cook, The Thief, His Wife & Her Lover became such a cult favourite? It’s a very simple revenge-story drama and we all know about the satisfaction of revenge. It’s a love story and we all identify with love stories. And it has a curious and puzzling format because it is all about colour. Puzzles are a sure thing to hold an audience’s attention, and curiosity. Most of all, it is very well acted by very watchable actors. Q. It has an amazing cast list who before, and particularly since, have achieved global success – was it a challenge to work with them? Everyone was co-operative and everyone enjoyed themselves, wearing Jean-Paul Gaultier costumes, eating fine food, acting in a set as big as the Ritz (whose cooks serviced the eatables). It was said among actors that you must work in a Greenaway film – that you will not become celebrated for working in a Greenaway film, but you will become famous in the next film you work in. It was sort of true. Ralph Fiennes acted in the Baby of Macon and became very famous in his next film Schindler’s List, Ewan McGregor acted in The PillowBook and became very famous in his next film Trainspotting and Martin Freeman acted in Nightwatching and soon after became super-famous in The Hobbit. Q. What are your own personal feelings about the film almost 30 years on? I am still intrigued by the colour games. I enjoy Michael Nyman’s music. I am appalled by Michel Gambon’s language and I watch every moment and gesture and eye-flick of Helen Mirren’s acting. Curiously, the film was very celebrated in Russia where it was distributed parallel to perestroika and glasnost. Many Russians saw the film as a metaphor for what happened when Capitalism destroyed the Soviet Union – excess greed, excess vulgarity, excess materialism, excess corruption, excess exploitation. And the central location of the film is the restaurant of cannibals coloured Soviet Red. Q. What are you working on currently? A. We are trying to finish a feature film about Brancusi’s walk across Europe from Romania to Paris in 1905 – called indeed Walking to Paris – when Brancusi was too poor to afford the train fare but found it absolutely imperative he should be in the centre of the art world. Q. What can people expect – and what do you hope they take away – from your talk at the Plymouth Festival of Words? A. I have been invited to talk about The Cook, The Thief, His Wife & Her Lover but I suspect we shall talk about much else besides – like, for example, the death of the cinema – although I believe I will be excused from watching the film (I have seen it a few thousand times already). I hope that new audiences will enjoy it and be thoughtfully entertained, with a lot of emphasis on the “thoughtfully”.